Hersheypark Camping Resort offers guests an affordable and fun way to explore Hersheypark! Choose your own adventure at Hersheypark Camping Resort – bring a tent, an RV, or stay in one of the beautiful deluxe cabins. Here’s what you need to know about Hersheypark Camping Resort and camping at Hershey. Thank you, Hersheypark, for inviting me to Hershey’s Sweet Welcome and to tour Hersheypark Camping Resort. All opinions about wanting to be an official s’more tester are my own. You have so many options when choosing the Hersheypark Camping Resort. Choose from regular and pull-through campsites with partial or full hook-ups or stay in a log cabin, which range from basic features to deluxe amenities. Plus in the summer, you’ll have access to two pools and a kiddie pool. I was impressed by the amenities and how homey everything felt. There are basketball courts, volleyball courts, shuffleboard courts, a playground, picnic tables, a campfire pit, and some nights they play a movie on a big outdoor screen, all included with your stay at Hersheypark Camping Resort. The Historic Landis Barn features the Country Store – Sweets and More, where you can pick up camping items and includes a gift shop with awesome apparel featuring my favorite snack. If S’mores were the only food left on a deserted island, I’d survive. So of course I had to purchase a hat to stake my claim as Official S’more Tester. 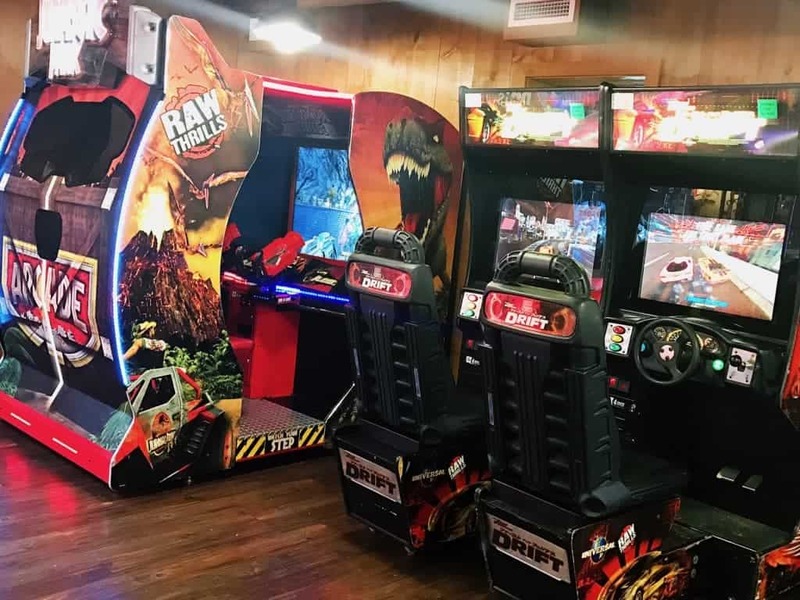 Landis Barn also houses a Family Fun Center with a mini arcade, laundry facility, and restroom/shower facility. This a great place to disconnect and enjoy family time. If you do need to connect (because I sometimes get twitchy if I don’t), no worries, there’s WiFi! Watch movies on the outdoor screen at night! On a budget, but need a getaway? Grab your tent! Here’s what’s included with Hershey Park camping. *Water is shut off from mid-October to mid-April. So you have an RV (you lucky duck! ), no problem! Come on over and join the party! I have to admit, I was envious of the RVs. I hear they like to decorate for Halloween and jazz up the place. Traveling Tip: If you come around Halloween, check out Hersheypark in the Dark. So, this is my kind of camping or glamping. We toured an empty 2-bedroom deluxe Hersheypark Camping Resort cabin, and this is the place for me and my family. First of all, they sleep 7. Perfect! That’s the exact number in my family. This is a more affordable option for bigger families than The Hotel Hershey or The Hershey Lodge. Second, hello, kitchen! Third, indoor plumbing including a toilet and shower in your cabin. Yeah, I’m one of those who really digs indoor plumbing. Call me crazy or high-maintenance. Kitchenette appliances: 2 burner stove top, refrigerator, microwave, toaster, coffee pot (filters not included). Serving items for 7 people: plates, bowls, mugs, plastic cups, forks, spoons, knives, and steak knives. Miscellaneous items: frying pans, sauce pan, manual can opener, measuring spoons/cups, dish drainer, and serving spoons. What you need to bring: You need to bring your own supply of linens, pillows, blankets, towels, personal items, and kitchen linens, such as dish towels and hot pads. Am I giving a little side-eye for having to bring my own linens? Yes. Mostly because I’m likely to forget, but that’s my issue. One of the bedrooms in the 2-bedroom deluxe cabin. 2nd bedroom with twin over full bunkbeds. A toilet AND a shower! I don’t have a picture of the main room with the sofa, television, and desk that connects the kitchen and 1st bedroom, but it adds to the already spacious cabin. Hersheypark Camping Resort Cabins have a 3-night stay requirement during the summer and holiday weekends and 2-night stay requirement during the rest of the year. They also have 1-bedroom cabins that sleep 7 that have the same layout minus one bedroom. There is a pull-out sofa bed in the main room. Why Choose Hersheypark Camping Resort? If you’re looking for something different when visiting Hershey, PA, then choose the Hersheypark Camping Resort. 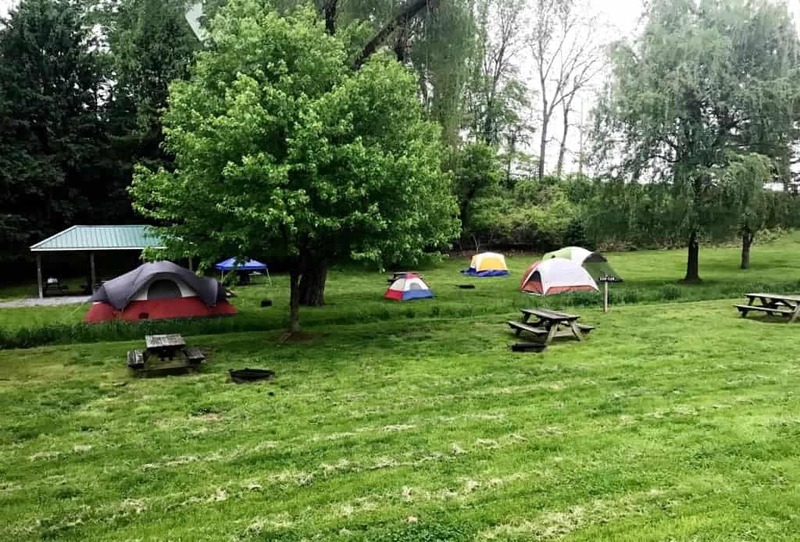 If you want adventure, if you’re on a budget, if you have a big family, if you love the great outdoors, or if you want fun, then choose Hersheypark Camping Resort. I’m dying to bring my kids here for Halloween, but reservations book quickly for the holidays. If camping is not your thing, then check out my review of The Hershey Lodge and The Hotel Hershey, the other two official Hersheypark Resorts. Hersheypark is one of my kids’ favorite theme parks, but we also have come to visit Hershey without stepping foot in the parks. Check out my friend Christy’s post on things to do outside of Hersheypark. Whatever you choose to do in Hershey, don’t forget to bring your sweet tooth.